Think of a pumpkin cheesecake — now, take away baking and cooking time. You’re left with these cute little pumpkin mousse parfaits. 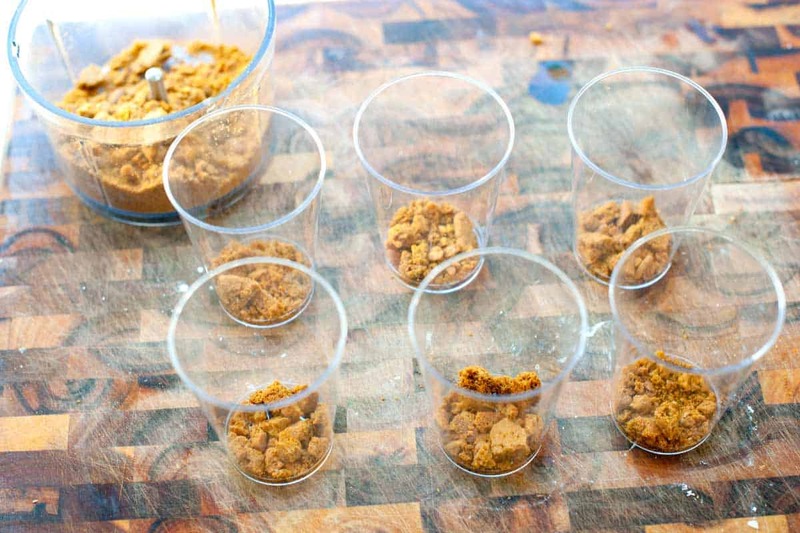 Jump to the Pumpkin Ginger Mousse Parfaits Recipe or read on to see our tips for making them. 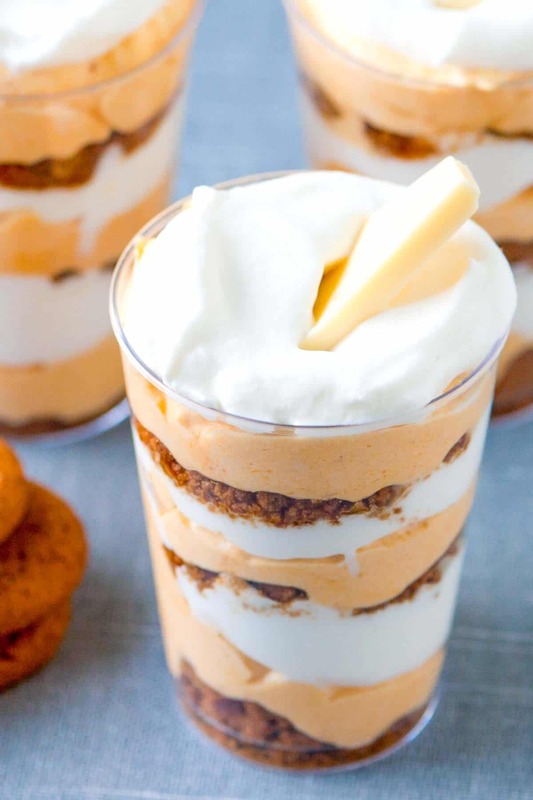 Sweetened pumpkin and cream cheese is layered with soft whipped cream and crunchy ginger snaps. These are great to serve to a crowd and can be made up to one day in advance. 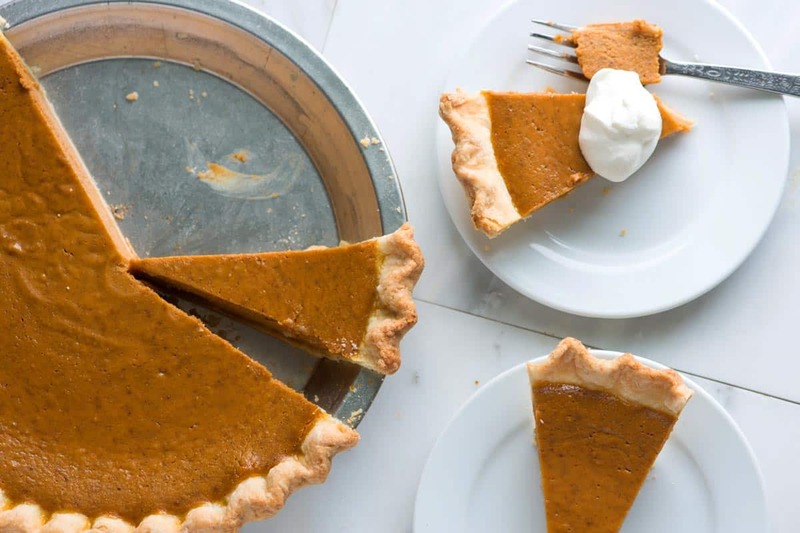 YOU MAY ALSO LIKE: How to make classic, unfussy pumpkin pie from scratch. This is our favorite way to make pumpkin pie. It’s easy, too! Jump to the Homemade Pumpkin Pie Recipe. They really could not be simpler. Whip canned pumpkin pie mix with cream cheese until well blended then fold in softly whipped cream. By the way, cans of pumpkin pie mix are sold next to pure pumpkin in the baking aisle of most grocery stores. It has pumpkin mixed with sugar and fall spices. 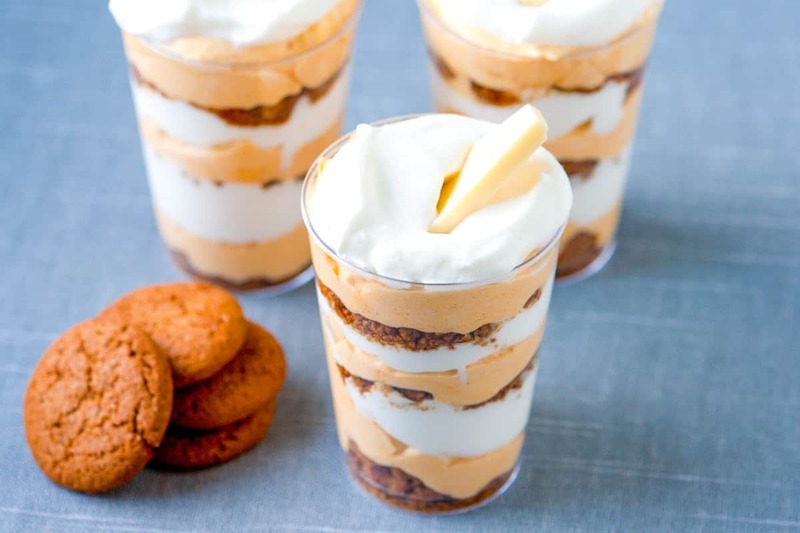 To assemble the parfaits, layer crushed ginger snap cookies with the pumpkin mousse and more whipped cream. Finish with a dollop of whipped cream and a little white chocolate wedge pushed into the top. Keep the parfaits in the refrigerator until ready to serve. 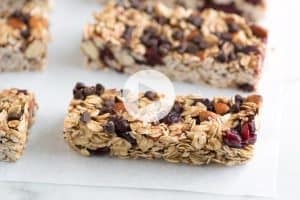 You can make these one day ahead of time, but not too much longer than that since you want to maintain a bit of crunch from the ginger snaps. Make these parfaits up to 1 day in advance. Canned pumpkin pie mix is pumpkin puree with additional spices mixed in. 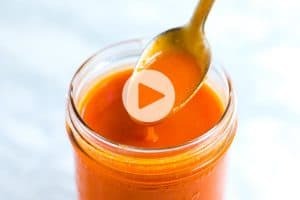 If you cannot find canned pumpkin pie mix, add 1 teaspoon of cinnamon, 1 teaspoon ground ginger and 1/4 teaspoon of ground nutmeg to a cup of pumpkin puree. Then stir in powdered sugar, honey or maple syrup to sweeten the mixture a little. Using a hand or stand mixer, whip the cream and vanilla extract until soft peaks form (cream will be thick, but the cream still falls onto itself). Refrigerate. 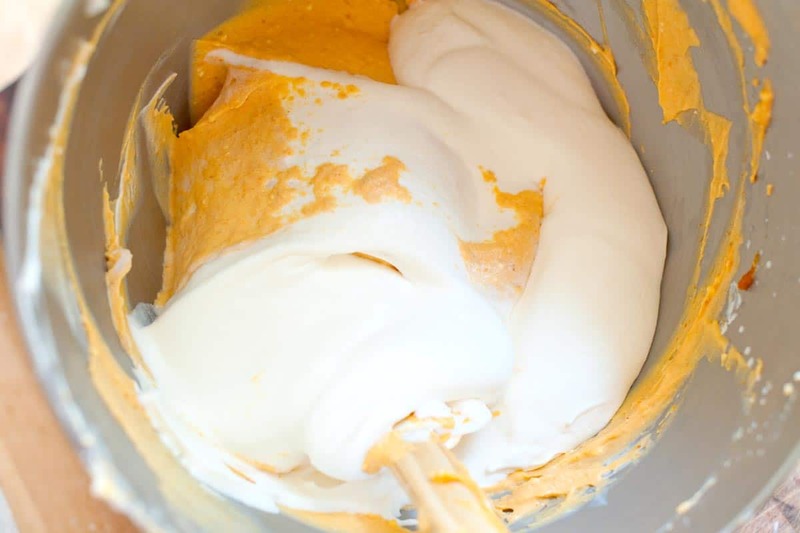 Beat the pumpkin pie puree, cream cheese and powdered sugar using a hand or stand mixer until blended and very creamy. Taste for sweetness, add more sugar if necessary. Gently fold half of the whipped cream into the pumpkin mixture. Assemble the parfaits. Set out 6 small cups. Starting with crushed ginger snaps, add layers of the crushed ginger snaps, pumpkin mixture and whipped cream. Finish with whipped cream and a piece of white chocolate. We live in Australia and they do not sell pumpkin pie mix. How could I make that up with fresh pumpkin? Hi Sheryl, The canned pumpkin pie mix in America is pumpkin puree mixed with spices. To do this yourself, roast and puree pumpkin then stir in some pumpkin pie spices (cinnamon, nutmeg and ginger are our favorites). Do you remember what size glasses you used for this recipe? Can’t wait to try it out. It looks delicious. Hi there — they were plastic cups (from a party store). I think they were around 10 ounces. 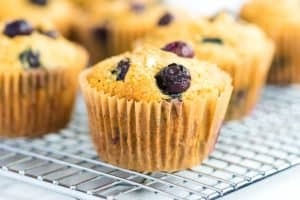 can I use almond breeze vanilla milk or half and half for the cream? If almond breeze whips up like cream then yes, otherwise the mousse will not be thick enough. I would think that you could replace the cream with a fat free or sugar free cool whip. If you did this i’d Also omit the vanilla as the cool whip is already flavored. Where does powder sugar come in? You add the sugar after mixing the pumpkin and cream cheese. Take a look at the recipe, that should help you out. Thanks! 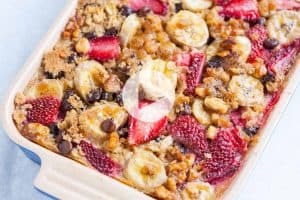 Love this idea to get that cheesecake taste without all the time and effort! !